Stripped and broken, beautiful still. When we think of the beauty of God, it is not uncommon to point to a sunset, to snow-capped mountains, to the ocean, or to a solitary, early bloom announcing the arrival of Spring. The idea of “the beauty of God” can sound like just that: a philosophical ideal that is always just out of our grasp. One of my prayers for the past few Lenten seasons has been to ask God to help me contemplate and understand the meaning of the Cross. One time, when I was in my twenties, I attended a retreat of Episcopal Church Women. During one of our services, I lined up with the other ladies to receive healing prayer. When the priest asked me what he should pray for, I surprised myself. Instead of asking for whatever it was I had in mind, I blurted out: “I want to be healed of the core of shame inside me.” As he prayed for me, in an instant I was on the hill at Calvary. The sky was dark and ominous and the wind blew viciously as I witnessed Christ dying on the cross. The priest whispered in my ear: “Cast your shame on Him.” There was no defensiveness, no hesitation in me at that moment – nothing between me and the One who poured out his life for us. 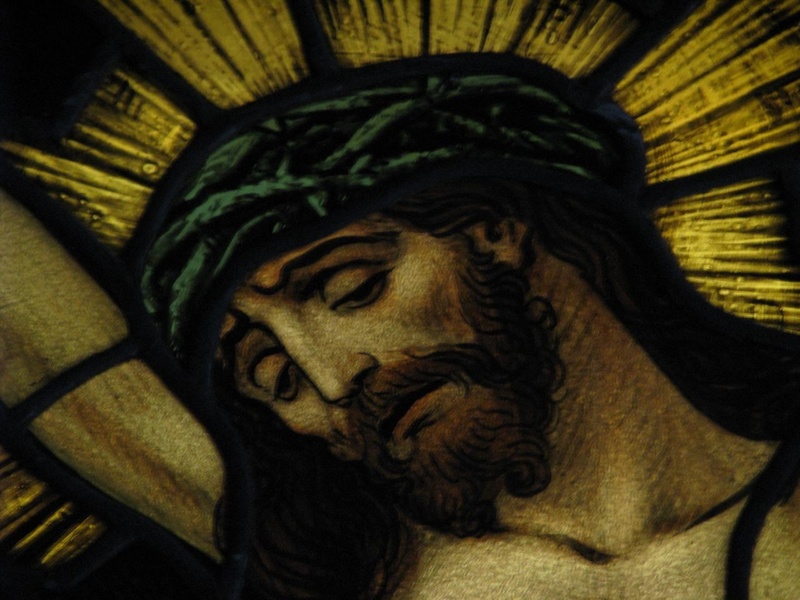 As Holy Week approaches, I find myself transfixed by the statement ‘I, when I am lifted up from the earth, will draw all people to myself.’ How is it that such a gruesome image – that of Jesus being brutally and senselessly murdered – how is it that this can be so powerfully attractive? Certainly it is not the brutality that draws us in. It can only be the love. The selfless, perfect, unmerited gift of love. This entry was posted in 12-step spirituality, Christianity, Episcopal church, faith, peace, Recovery and tagged 12-step spirituality, crucifixion, holy ground, hope, mercy, recovery, Spiritual awakening, spiritual growth. Bookmark the permalink.